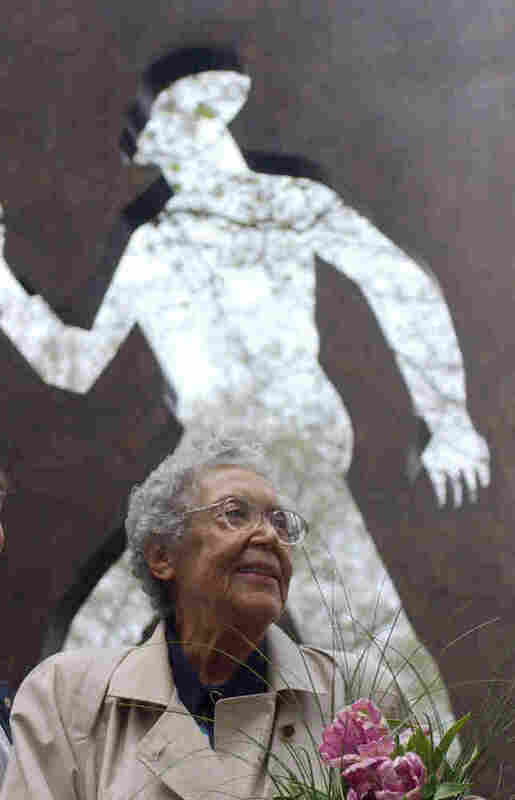 Catlett Blazed Trails As An African-American Artist Elizabeth Catlett was one of the most important African-American sculptors of the 20th century and one of the last living links to the Harlem Renaissance. She died Monday at age 96. Artist Elizabeth Catlett began creating powerful images of strong African-Americans before World War II, when the art world had little interest in such portrayals. Yet she held to her convictions, and today her etchings and sculptures are in major museums around the world. Catlett died in her sleep Monday, at age 96. Catlett's art strikes a visceral chord in people who see it — whether they're casual observers or fellow artists like Renee Cox. "I look at the work and it's something she's just speaking her mind. She's not holding back," Cox says. Cox was part of an exhibition at the Bronx Museum of Arts last year that was inspired by Catlett. The show featured 21 younger artists alongside Catlett's work. It was curated by Isolde Brielmaier. "She was really a trailblazer," Brielmaier says. "She was passionate for exploring a number of these issues — race, gender, history, memory, politics in her work." Catlett was born April 15, 1915, in Washington, D.C., the grandchild of slaves. She attended college at Howard University after the then-Carnegie Institute of Technology refused to honor a scholarship it had awarded before realizing she was black. By 1940, Catlett had received a master of fine arts degree from the University of Iowa. Her mentor there — American Gothic painter Grant Wood — urged her to portray what she knew best. It inspired her focus on black people, women and the ongoing struggle for equality. In an interview recorded last year, Catlett told NPR her work still dealt with the poor and disenfranchised. "I still believe in getting rid of discrimination," she said. 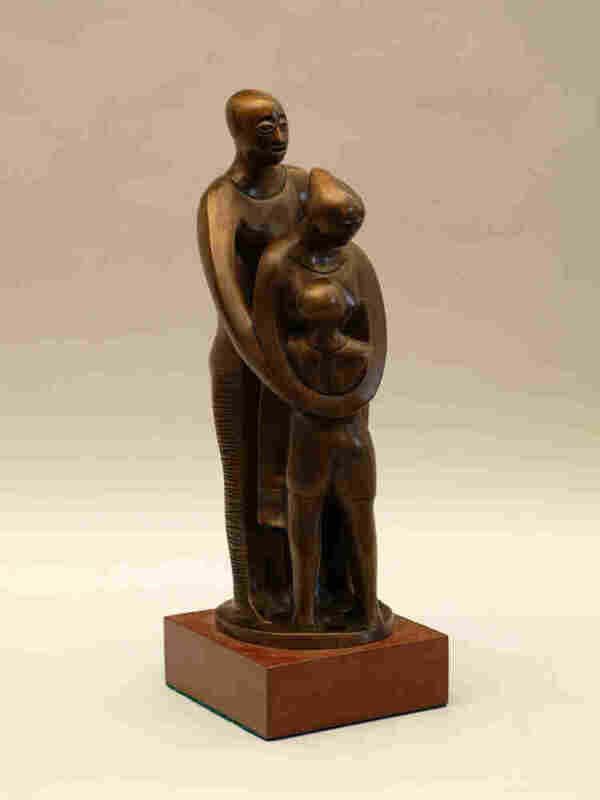 Catlett's famous pieces include a 1969 linoleum cut called Malcolm X Speaks For Us, a bust of Martin Luther King Jr., a 1939 sculpture depicting an African-American mother holding her child, and a linoleum cut showing the dignity of a sharecropper. Yet many people in the United States weren't familiar with her work, as she told NPR in 2003. "I as an artist — a black woman artist — have been invisible in the art world for years," she said. That's partly because Catlett spent most of the last 60 years in Mexico. She went there on a fellowship in the 1940s, married Mexican artist Francisco Mora, and eventually became a citizen. But her commitment to social issues led the U.S. government to deny her a travel visa for nearly a decade, declaring her an undesirable alien. Still, her son, Francisco Mora Catlett, says his mother remained dedicated to the idea that her work should be accessible to everyone. "She said people need to go into a museum and find pieces of art that they can identify with," he says. He also says it was important to his mother that her worked awakened something in the people viewing it. "Somebody will come and say, 'This piece of your mother made me reflect about my life and I have to change into this,' and it's always a positive constructed change that makes people — or encourages people — to do something about their life or about the lives of other people," he says. Mora Catlett says he admired his mother's courage and determination to stick to her belief in social justice. And looking at her work over the course of her life makes it clear that she remained dedicated to championing the interests of the people.